Home Hindu Why Hindus do not eat Non Vegetarian Food on particular days? 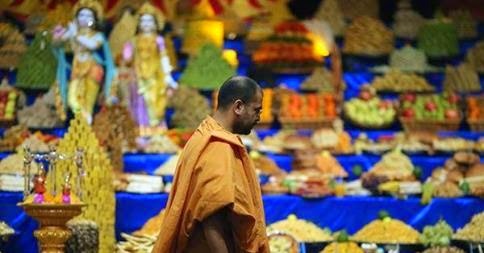 Hindus do not eat non vegetarian food like chicken, meat or fish or any other Non Vegs on particular days, not limited but including: Mondays, Thursdays, and Saturdays of every week, many more auspicious days like Yekadashi, Sankranti, Dussera, Sankashti Chaturthi, Angarki Chaturthi, Ekadashi, Gudhipadwa, Akshaytrutiya, Diwali (all the days). Amongst these, the reason for not eating meat on some particular days excluding weekly days is purely religious. Killing of animals is considered as a sin in Hinduism. So, people avoid eating meat at least on those auspicious days to maintain sacredness of that particular day. The reason behind not eating meat on weekdays including Mondays, Thursdays, and Saturdays is that as a human being we need only a little amount of meat to fulfill requirements of our body such as iron, vitamin B12 and other vital nutrients. But human being basically is also like an animal and we can get addicted to eating meat. As we all know eating excessive meat is not good for health. It can cause diseases like piles, kidney stones, colon cancer, blood pressure, heart attack, etc. Saturday to Lord Hanuman, Lord Venkateswara. And yes, in some parts of india, Even wednesday and friday are also dedicated to some lords but i’m sure they left some day alone not dedicating to any god. In this way, people have been assigned some religious restrictions and as most Hindus are religious, they do obey this rule. Following this, they restrict Non vegetarian in their diet which is good for their health. You should not eat meat on your birthday as well. Some don’t eat meat on friday too saying Goddess Lashkmi or Goddess Santoshi’s fast. There are some scientific and spiritual reasons behind not eating non-veg on particular months or days. 1. Man needs to have control over his senses. And thus tries to shut/cut down on meat on particular days of the week. It takes almost 3 days for meat to be digested. And a veggie meals hardly takes less than 5 hours. 2. The second reason is that the moon plays a major role in our digestive system. I read resources that say on saturdays and a new moon day(amaavash), the digestive system is a little weak due to the moons effect on earth and hence many people try to stay away from non-veg. You can also calculate on the calendar that some people try to avoid non-veg on full moon day, Sashtti, ekadashi, new moon (and the cyle contineous). They do fasting on these days. This is just a way of cleansing our body. 3. Most of our major festivals fall during the last 6 months. Many people involve themselves in fasting and other devotional activities. Non-veg dulls our mind. Vegetarian food energies our body, mind and soul. This enegry is diverted towards religious activities to cleanse ones aura and creat a positive environment. Why we don’t eat non-veg, don’t intake liquor and some people don’t shave while Shravan Maas? Shravan is supposed to be the holiest month of the Hindu calendar. 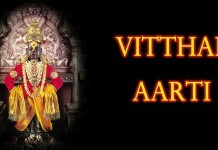 It is full of festivals and minor celebrations. Festivals include Janmastmi, Raksha Bandhan, Naag Panchami, Onam, Kajori Purnima, etc. Shravan is the holy month of Lord Shiva. Every Monday (day of week dedicated to Lord Shiva) is called Shravan Somvar. All the 4 Shravan Somvars are special and you are supposed to be fasting for them. As Shiva’s chosen month, every day of this month is laden with religious significance, so Hindus avoid non vegetarian food and liquor in this month. This is the month in which the monsoons are in full blast. The rains bring a whole lot of water borne diseases with them. The general hygiene is bad and you never know what infection you might catch. Hindus believe that meat during this month has more chances of being infected. So it is better to avoid meat. 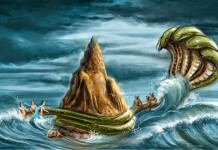 Shravan in mythological terms is the month of love and romance. Practically it is the breeding season for most of the animals. Fishing during this time is prohibited by Hindu laws as the female fish have eggs in their stomach. It is a sin to kill animals when they are pregnant or hatching eggs. That is why Hindus avoid meat and fish during this month. However, I don’t know the relation of not shaving in Shravan Maas. Previous articleWhy only people of some castes are suggested to eat Non vegetarian food and not others..?